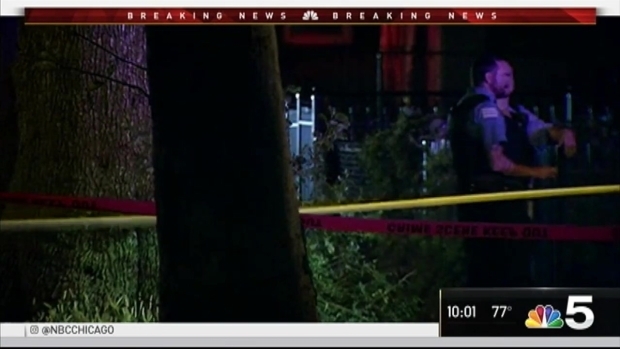 Officials were responding to the scene of a shooting on Chicago’s South Side Monday night where multiple people were shot, the Chicago Fire Department said. Just before 9 p.m., the fire department said they sent as many as five ambulances to 67th and Winchester in the city’s west Englewood neighborhood. A total of five people were shot, one of them fatally, according to authorities. Four people were taken to various area hospitals, all in critical condition, and a fifth person was pronounced dead at the scene, the department said. Officials were responding to the scene of a shooting on Chicago’s South Side Monday night where multiple people were shot, the Chicago Fire Department said. Christian Farr reports.